Fiocchi Cowbow Ammo has been a favorite of shooters for over 25 years! Fiocchi Cowboy, .45 Colt, LRNFP, 250 Grain, 50 Rounds is rated 4.7 out of 5 by 30. 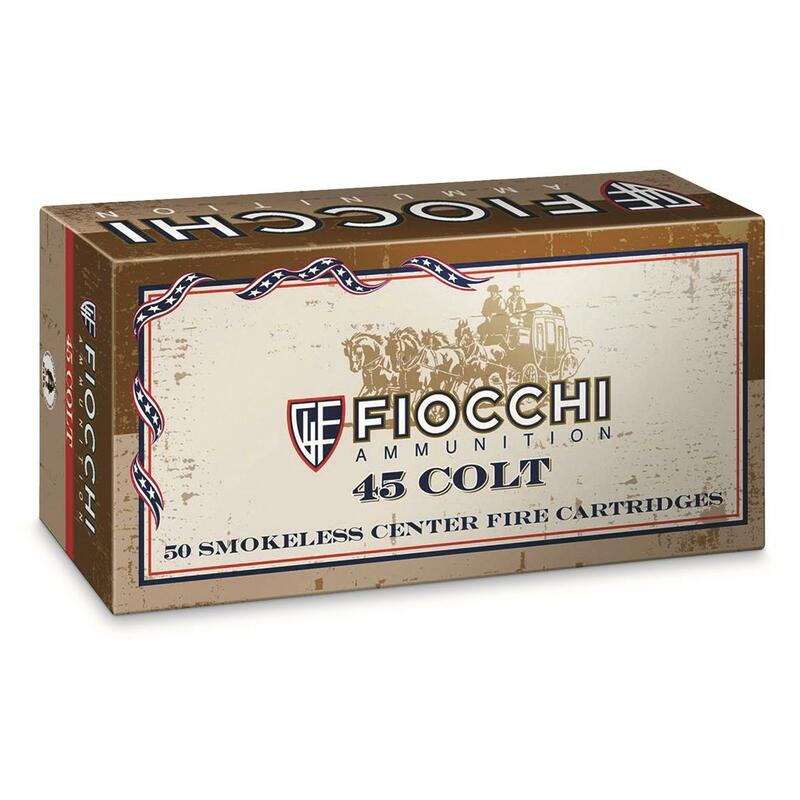 Rated 5 out of 5 by sabre52 from Good ammo, great price Fiocchi ammo is good stuff that always goes bang. Great price on ammo that is hard to find at a decent price. Rated 5 out of 5 by Mongojo1 from Great Price! Works as well as anything else I have shot, and a fantastic priceto boot! Rated 4 out of 5 by Jeff from Great price for hard to find ammo. Box arrived a little beat up but all was well inside. There's not a lot of 45 LC out there but SG has it and with a good price too. Rated 5 out of 5 by Scooter91 from My 1901 Colt SAA Loves it! I have always had good luck with Fiocchi ammo, use it for my 30 Luger, 30 Mauser and now my 1901 Colt SAA. .45 Cal. Clean, accurate and very dependable. All cartridges are well made and fit and function in all my .45 Colt pistols. Also a nice plus is its reloadable quality brass. Shipping has improved the last couple of years, I received a 1943 EC sardine can pack of .45acp once that was completely ruined for any collector value. Much better packaging now. Good prices and even better with the free shipping! Rated 5 out of 5 by JUDGE from 45 colt Excellent product. A favorite of shooter for over 25 years.